Python is a general-purpose, high-level and multi-purpose programming language. Python makes web application development easy. The best thing about the Python is, you don't need any prior knowledge to learn it and the Python code is easy to understand for the beginners as well. Python is suitable for the aspirants who want to build a career in web development, data science, machine learning, and it is not suitable for the aspirants who want to develop mobile applications. Python is a server-side programming language and PHP, ASP.NET, NodeJS, Ruby are alternatives to the Python programming. Python is used almost used in all real-world applications Examples of web applications includes Quora, YouTube, Dropbox Pinterest etc,. Examples of Standalone applications such as sublime text, NetBeans, Koding, BitTorrent etc,. Raspberry PI is also developed using Python programming language. SciPy is the library for data Scientists etc,. If you are completely new programming and want to get started with Python then here is the best suitable video tutorial for you. This video tutorial gives you a complete overview of programming and introduction Python programming. This video tutorial is well structured and organized in such a way you understand the programming and Python concepts easily. To check your knowledge, assessments are provided to boost your confidence levels. This video tutorial is best suitable for the complete beginners and this is a great place to build a programming career. Proper learning path is required to learn python programming. To help the aspirants to learn Python programming successfully with ease this course is divided into the 3 sections. As a beginner, here you will learn basic and fundamental such as object-oriented programming concepts of Python. The beginner sections solid foundation to move intermediate level. In the intermediate section, you will learn how to things that are beyond the basics such as closures, decorators, inheritance, and subtype inheritance, class methods etc,. and also helps you to understand the importance of python in data science, big data, web development. Here you will also learn about the developments tools that are required for developing the projects, how to set up the environment for development, how to install dependencies, debugging, testing and documenting etc,. After completing the intermediate level, its time to learn about the full stack development and advanced frameworks. In this tutorial, the instructor covers full stack development using WEB2PY. The instructor takes you through real-time examples of how to work with databases and Web Frameworks. By the end of this video tutorial, you will able to learn SQL CRUD operations, how to send an email, working with XML programming etc,. This video tutorial is completely for beginners and helps them to understand the concepts with real-world examples. If you are beginner trying to learn programming or if you coming to Python from other programming languages, then this video tutorial is the best option for you because this video tutorial is a complete package to learn Python programming. This video tutorial is presented by Jose Portilla and he has great knowledge of Python and Data Science. This video tutorial is popular on the web. This video tutorial is presented by Bill Weinman and in this video tutorial, he covers the basics of Python language syntax and its usage and also advanced features such as objects, generators, and exceptions. He also covers the how to work with database using the Python language. The instructor demonstrates with examples using the Eclipse IDE. This video tutorial is the best option for the beginners and intermediate developers. Complete Python Masterclass is another popular video tutorial over the web. If you are a beginner or if you looking for a refresher training, then this video tutorial is the best option for you. The instructors, Tim and JP provide you in-depth and practical aspects of each concept. I would recommend going through this course without a miss. This video tutorial is designed for both beginners and data scientists. I would say this video tutorial will be helpful to the job seekers and data scientists who want to build their career in machine learning. In this video tutorial, you will learn the use of Python for machine learning and Data Science. You will able to learn how to implement the machine learning algorithms. NewBoston brings you Python 3.4 video tutorials for free of cost. 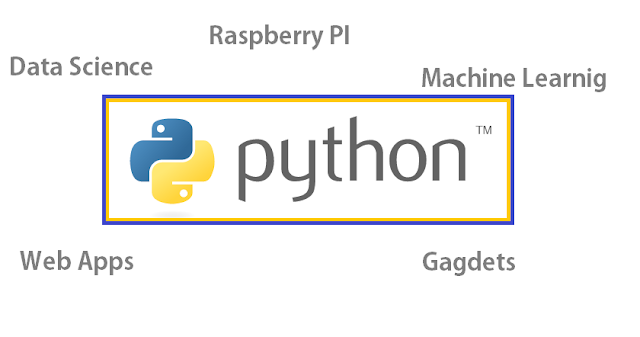 The instructors cover all the required basic concepts to learn and master in Python Programming. This video tutorial is completely for the beginners. You can either watch the videos on NewBoston official website or on YouTube. By the end of this course, you will able to learn and develop the complex real-world applications. The instructor Ardit Sulce covers Python basics and then walks you through building 10 real-time applications which are much needed to develop applications independently and also boost your confidence in Python language. I would recommend going through the course without a miss. Amul's Academy YouTube channel has more than 90 videos that give a complete overview of the Python 3 Programming. The instructor walks you through basic fundamental concepts of Python with the examples. It is worth to watch these videos. If you are serious about Python, then you need to check out this tutorial because, in this video tutorial, the instructor walks you through the 8 real-time web applications which boost your confidence. The real-time applications include A simple terminal blog, Price of a Chair, Price alerts for any online web store, simple deployment of an application on Heroku. Personally, I feel like, coding in the real-time will help us learn more instead of listening to video tutorials This video tutorial is suitable for the beginners, intermediates, and experts. I would definitely recommend this video tutorial without a miss. This video tutorial is available for free on Udemy. You don't need any prior knowledge to go through this video course. Avinash Jain, the instructor of the video tutorial, covers the fundamental basic concepts of Python programming language. Also, check my answer for Which are the best Python videos on YouTube? To get your hands dirty, Codecademy is the best place and if you have any questions you can post your question in StackExchange.